Violets are small, purple flowers that are very striking. The shape of the flower is similar to a rounded square, and each flower has about five petals. 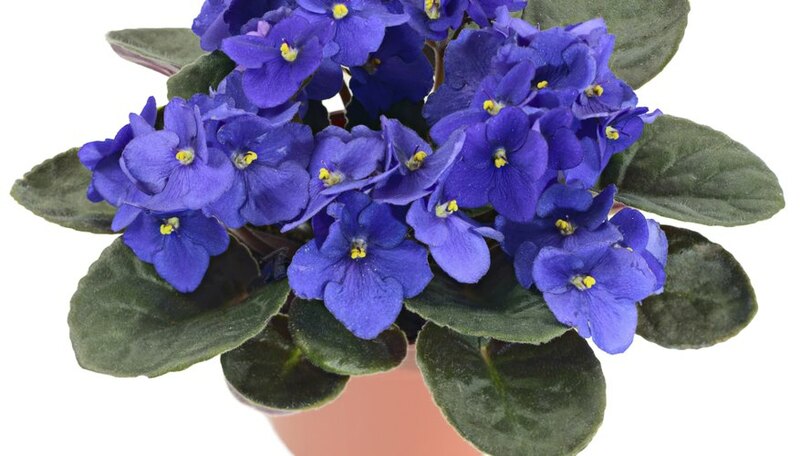 The leaves of a violet are wide with a small point on the ends and have ridged sides. The inside heart of the flower is yellow-white. There are several different ways to paint violets, but one of the easiest ways is to use acrylic or watercolor paints to reproduce this cheery flower. Draw a rough sketch of the violet on a piece of scrap paper. You do not want to draw the outline onto the actual material that you will paint on because the pencil may show through the design and ruin the image. Drawing a separate sketch will help you determine the strokes you will have to use to complete the drawing without affecting the final painting. Thin the paint slightly with water to make it a little runnier. Outline the basic shapes of the violet, including the stem and leaves, with a medium sized brush. Rinse the brushes between colors. Add highlighting colors to the violet by mixing shades of blue and purple. Add highlighting to the leaves with shades of green and yellow. Use a photo of a violet as a guide for highlighting and shading. Allow the paint to dry for about one hour. Add details to the painting with a small brush. Add in the yellow heart of the flower and the vein texture on the leaves as well as any other detail that you desire. Framing the flowers and leaves in white paint can add a nice contrast to the painting. Paint the background of the painting any color you wish. Blues showcase the violets well, but earth tones can also enhance the image. Allow the entire painting to dry for two hours or until the paint is no longer wet.